We all know that chameleons are great at fitting in. But Leon doesn’t fit in. 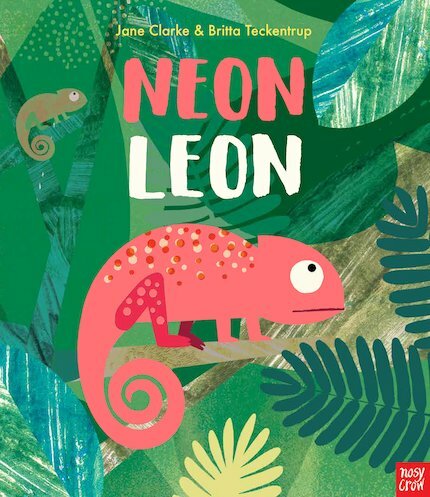 Leon is neon! In fact, he’s SO bright that his glow keeps all the other chameleons awake at night. After a while, Leon feels lonely. He’s fed up of standing out. So he sets off in search of a place where he’ll blend in. Will he ever find it? Help Leon on his journey by counting his steps, cheering him up and soothing him to sleep. Wherever he ends up, this bright spark will always have a place in your heart!